Brian Herbert, the author of numerous novels and short stories, has been critically acclaimed by leading reviewers in the United States and around the world. 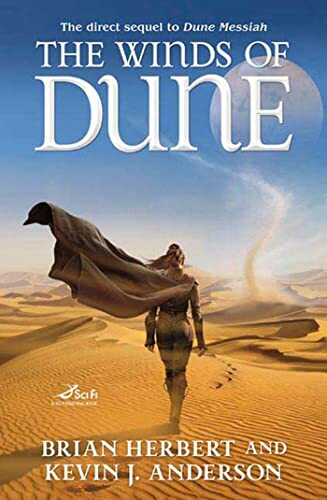 The eldest son of science fiction superstar Frank Herbert, he, with Kevin J. Anderson, is the author of Hellhole and continues his father's beloved Dune series with books including House Atreides and Sandworms of Dune, among other bestsellers. He also wrote a biography of his father, Dreamer of Dune. Herbert graduated from high school at age 16, and then attended U.C. Berkeley, where he earned a B.A. in Sociology. Besides an author, Herbert has been an editor, business manager, board game inventor, creative consultant for television and collectible card games, insurance agent, award-winning encyclopedia salesman, waiter, busboy, maid and a printer. He and his wife once owned a double-decker London bus, which they converted into an unusual gift shop. Herbert and his wife, Jan, have three daughters. They live in Washington state.